Hostel is a home away from home. Hostel life is a great experience I think people should have. Some people who have not experience this might think that hostel life is full of hardships. Though in initial days everyone feel homesick. But once days keep going, you will start enjoying this Hostel life. This was also the same case for me, but after spending 6 years in hostel I can say that those were the golden days of life. Hostel life constitutes a lot of memories and they cherish the moments spent over there throughout their lives. There are lots of facts which make hostel life a great fun to live in. I will discuss few of them here. This is the best part of the hostel life. You can hang out with your friends till any time. There is no one to question you about this. It is said that nothing is boring if your best friends are with you. Studies become way easier and fun at hostel and none of the hostlers would deny this fact. Late night studies is also a great fun. If you re having doubts in your topics, you can ask your friends and seek their help in no time. When you are studying late night with your friends, you will enjoy the company of others. Their nonsense actions, their repetitive words ‘ Yeh saale exams kyu hote hai ‘ , ‘ Agli baar se semester ki starting se hi padnaa shuru kar dena hai’ , seeing one of your friends napping while having book in hand, taking their pics and posting it to internet are such examples that you will miss through out your life. From the childhood, you have been taken care by your parents. For every little things, you used to reach out to your parents. But once you come to a new city/place and enter the hostel life, you realize that moving forward, you will have to do all things at your own. There is no support or backup you can really rely on.This may appear a bit troublesome in the beginning, but once you are habitual of this, you start liking being so and experience a whole new store of confidence in yourself. Learning to be independent is the biggest lesson one learns while staying at a hostel. The other important thing that you learn in hostel is money management. Being at home, you used to get the pocket-money and we tend to happily spend it wherever we wished. But once you come out of your home, you have monthly expenses that you need to spend sensibly. When you are given a particular amount of money for a month you definitely learn its value. You remain cautious while lavishly spending your money keeping in mind that you may need in future for some important work. Hostel life teaches you to use your money wisely. 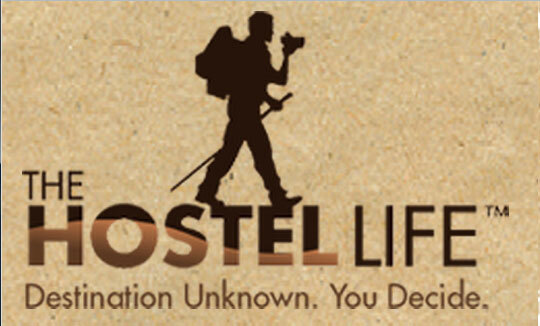 At hostel, you come across with people from the various cultures and various parts of country. You come to know their lifestyles, their cultures and sharing views about your cultures.Friends gained at hostel are the ones that remain for our lifetime. They know about your crazy habits, your stupid moods, your fantasies, but they still choose to be with you. This makes us and our friends comprehend each other’s feelings flawlessly as we see how they react to each circumstance and they do the same. Consequently, we find friends equivalent to family and so, hostel can be given the credit of the same. Truly a superb entry on hostel life experience. I am sure that you have also enjoyed this life so as it is clearly visible in your post. I still remember those days when me and my friends study in one night just before the exam in our hostel room, how we exchange our things and also those memories which are truly precious.